In the month of summers when equinox is on your head, getting hit by heatstroke also called as sunstroke is quite common. In this time body gets imbalanced in temperature, which leads to a severe health issue. Heatstroke happens due to the exposure to very high temperature or physical activity exerting at noon time. In India, during the summer season, it is very common. The mild sunstroke can be treated at home but for severe sunstroke, it’s an emergency situation need to be given medical care, as it might lead to multiple organ failure or coma. Heatstroke happens due to a sudden imbalance of body temperature increases to the 104 f or above. The mild heatstroke symptoms are of dehydration: exhaustion, vomiting, nausea, severe headache dizziness, breathless. If these symptoms are not addressed, it leads to severe heatstroke. The physical activity under the sun between 12-3 peak hours. Staying inside the locked car without windows down also leads to heatstroke. Generally, elders and kids are easy to get affected by the heatstroke. By taking the few precautions one can prevent from getting hit by the heat stroke. Avoid going out in the direct sun at noontime between 12-3. 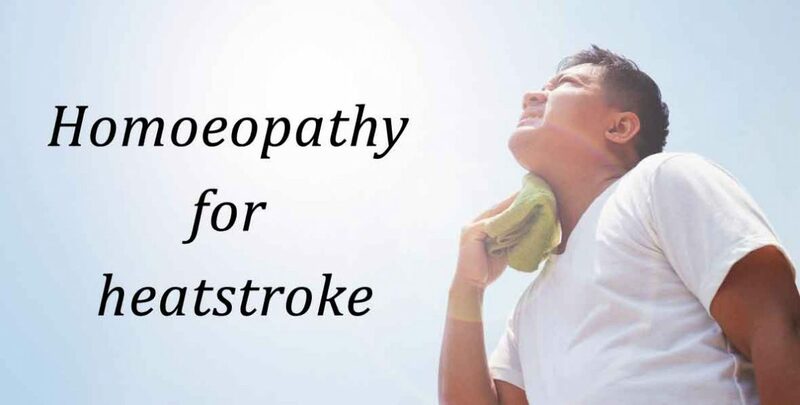 How homoeopathy can help in heatstroke? Homoeopathy is the holistic way of natural treatment. As it doesn’t have any side effects, it can be very helpful in the cases of sun stork. The treatment homoeopathy addresses the underlying cause which differs from individuality. The remedy is decided as per the study of individual symptoms and the effects of heatstroke on the body. It is totally based on holistic systems of medicine. The homoeopathy works on to cure the root cause of the disease, through this way patient regains the complete health. The Homeopathy holistic approach to medication helps in curing all the signs and symptoms from which the patient is suffering. The homoeopathy has several medicines, one can take for mild sunstroke. So, that it doesn’t turn into the severe sunstroke. All the medicines are given as per symptoms of an individual patient. The consultation from the homoeopath doctor is advisable to cure the root cause of it. It’s always advisable to go for proper medical consultation before taking any medicine. Dr.Anubha clinic is one of the best homoeopathy clinics in Hyderabad. You can also avail the online consultation service for Canada and U.S.A patient.